Travel Girls Getaways are educational retreats, active escapes and tours for the adventurous female traveller. 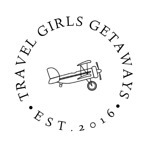 Travel Girls Getaways are brought to you by the founders of popular female travel community We Are Travel Girls. We held a fun We Are Travel Girls Meet Up in Scottsdale at The Canal Club, hosted by WATG Co-Founder @VanessaRivers and Nicole Zeno over Clever Cow Media. A dream vacation might be more within reach than you thought. Read about why we think Kevin Murphy is a great sustainable hair care solution. Add these affordable European cities to your list this year. Our week-long guide maps out all the must-sees on one of the world's most scenic drives. The best (and most ethical) spots in the world for spotting ones of the world's most mysterious creatures. Between its stunning shorelines, sweeping architecture, charming cafés, and abundance of wildlife, Sydney is one of the most beautiful coastal cities in the world. It’s also a photographer’s wonderland- get your camera ready! This is your guide to the best locations and angles.